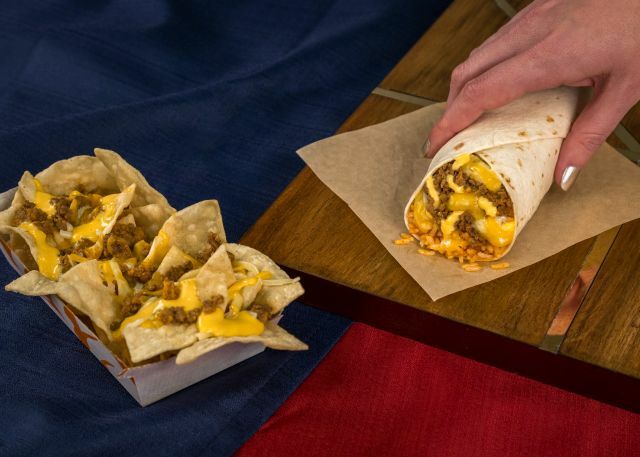 Taco Bell once again offers value at the $1 price point with the national arrival of the new $1 Triple Melt Burrito and $1 Triple Melt Nachos starting April 5, 2018. The Triple Melt Burrito features seasoned beef, seasoned rice, shredded three-cheese blend, and warm nacho cheese wrapped in a warm flour tortilla, while its nacho counterpart consists of seasoned beef, shredded three-cheese blend, and warm nacho cheese atop a bed of tortilla chips. The Triple Melt Burrito is also available in a $5 Box value meal along with a Doritos Locos Taco, Cinnamon Twists, and a medium fountain drink. The value-priced duo were tested in the Cincinnati, OH market last September.